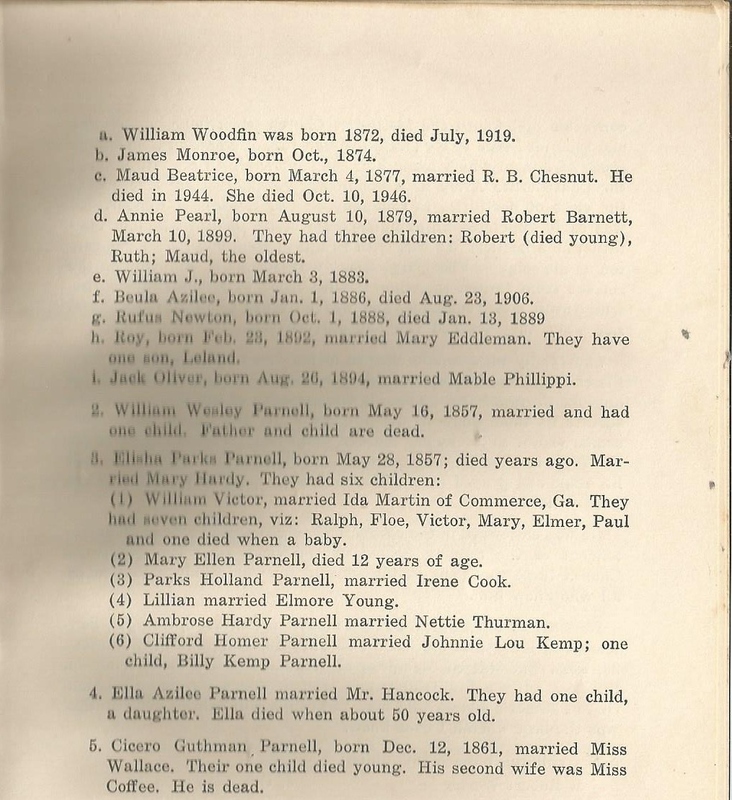 Polly Ann Barrett Parnell (1830-1872) was the second child of Elisha Chastain Barrett (1806-1886) and Nancy Mabry Barrett (1810-1849). Milly Margaret Barrett Smith Long Paris (1832-1918/1920) was the third child of Elisha Chastain Barrett (1806-1886) and Nancy Mabry Barrett (1810-1849). 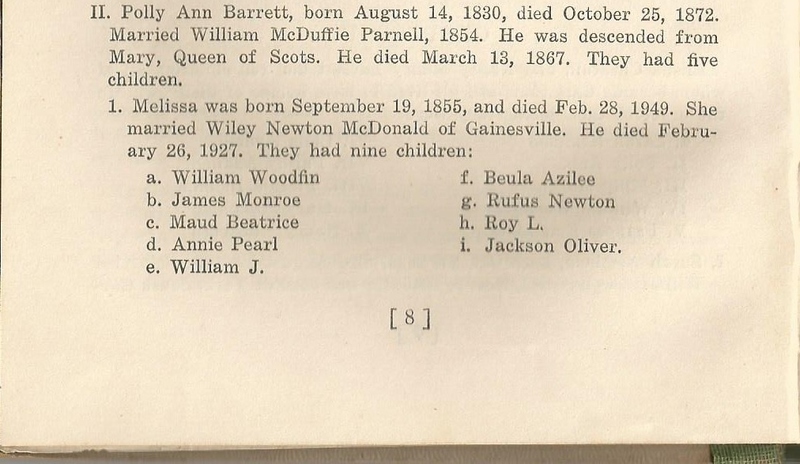 Posted September 11, 2014 by neatnik2009 in Commerce Georgia, Elisha Chastain Barrett (1806-1886), Gainesville Georgia, George Washington Barrett Family History, Hall County Georgia, Jackson County Georgia, Nancy Mabry Barrett (1810-1849), Northern Georgia U.S.A.